Former Chelsea player Romelu Lukaku will be in familiar territory alongside Nemanja Matic and Juan Mata when Manchester United travel to London for the high-voltage clash against the reigning English champions in the Premier League. Lukaku, unlike Matic and Mata, did not feature heavily for the Blues during his stint there. He was shipped out on loan to West Bromwich Albion, and then Everton, before being permanently sold to the Toffees in 2014. The Belgian joined United this summer, after ex-Chelsea boss Jose Mourinho decided to sign him for the Old Trafford unit. Lukaku’s start for United was a blockbuster one, but since the last couple of games, he hasn’t been able to find the back of the net. Critics have come heavy on him for not performing against the big teams throughout his career in the Premier League, but that will not worry the forward. Lukaku has managed to bag 2 assists in his previous 2 games in the league, and he will be eager to continue such involvement and make it count at the Stamford Bridge with a solid show. The 24-year-old has played 7 times against Chelsea as an Everton player, and has managed to score 2 goals during this period. SportsMole pointed out Lukaku’s tally, and assessed his show during those 7 games, and the statistics are nothing short of shocking! The only time he did score was a brace in the FA Cup during the 2015-16 season. 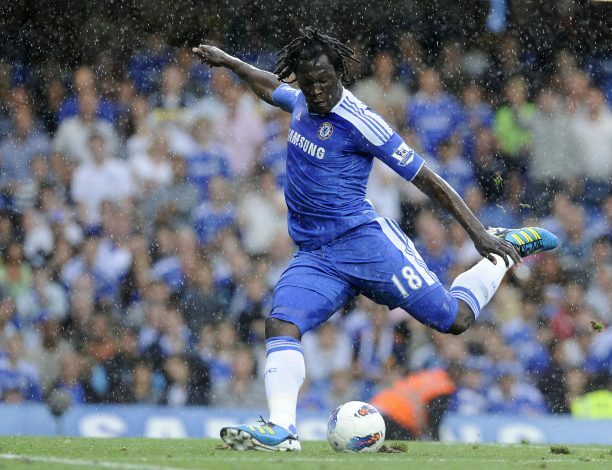 Lukaku will not be happy with his tally against the London giants, but this is a fresh chance. He is a United player now, and things could well turn out to be promising for him this time around.